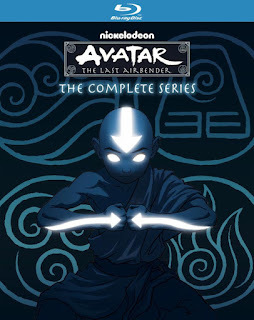 12-year-old Aang is back with the long-awaited Blu-ray release of Avatar - The Last Airbender: The Complete Series. This summer, every episode from this fan-favorite show will be available on Blu-ray with over 24-hours of element-bending fun! Fans of this classic will be able to relive the full three-season saga, as young Airbender Aang fulfills his destiny of being the long-lost Avatar! Join Katara and Sokka, siblings and members of the Water Tribe, as they help Aang master the four elements needed to become the Avatar - master of water, earth, fire and air! Produced by Nickelodeon Home Entertainment and distributed by Paramount Home Media Distribution, Avatar - The Last Airbender: The Complete Series will be exclusively available on Blu-ray at Best Buy on May 1 and available nationally on June 5, for the suggested retail price of $44.99. Win: One lucky winner will receive a copy of Avatar - The Last Airbender: The Complete Series on Blu-ray! The deadline for entries is May 15, 2018 11:59pm HST. If you submitted an eligible entry and it is chosen by random.org as the winner, you will be notified via email on or about May 16, 2018 (make sure your email address is in your profile or comment and be sure to check your junk/spam, etc. folders) and will have 3 days to respond. I've never seen it, and I would love to binge watch it with my nephew. my kids loved the series. Because we have not seen it yet. My son is a big fan of the show, I would love share it with them. I always like the Avatar. I would love to win this for my kids. They would love to watch! I think that it cool and I would like to win this! Hoping to win for my oldest daughter, she's a fan. I want this for my husband who is a huge avatar fan. His whole dvd series collection got ruined by our daughter five years ago. (She was 1 didn’t know any better.) we haven’t had the chance to replace it. I liked on fb - Taryn Colmenares and I follow on twitter and Instagram as warriortaryn thanks for the chance. I would love to win the prize for my family. I would like to win because I saw the movie but not the series and this would allow me to catch up on that series. I would like to win because my son would love to own this. Fascinating and amazing to see, Avatar - The Last Airbender, my wife would definitely like to have for a nice time. My lady friend would really like having and watching Avatar - The Last Airbender as just marvelous for all occasions. I really like great items and Avatar - The Last Airbender would be just wonderful to view for a neat time. The captivating and fabulous Avatar - The Last Airbender, my girlfriend would like to have and enjoy all of the time. Just awesome, Avatar - The Last Airbender would be just right for the day and my wife to have and see many times.